As parishioners made their way to mid-day mass at Vancouver’s Holy Rosary Cathedral Monday, many were just learning about the fire roaring through the much more famous Notre-Dame in Paris. "I think it's a terrible tragedy,” said Eunice Marosits. “That church has contributed so much to the community, and society and culture and history,” said John Zakharia as he made his way into the noon hour service. 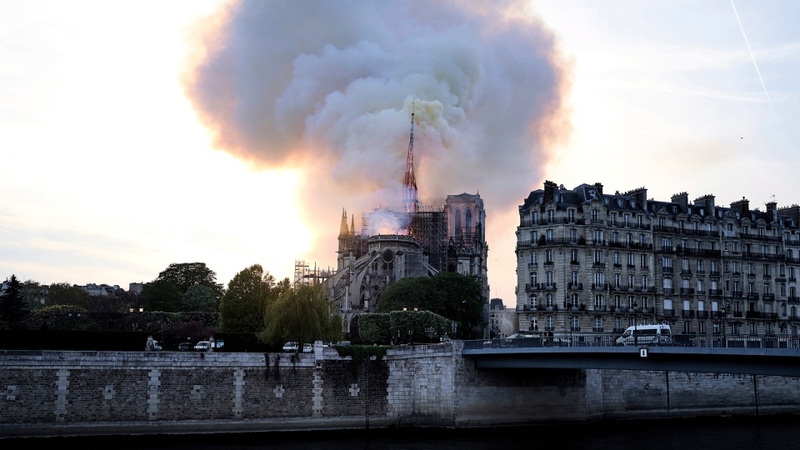 Kelowna’s Adam Graham sat on a restaurant patio in Paris when he noticed the first light wisps of smoke coming from Île de la Cité, the island in the Seine where Notre-Dame has stood for more than 800 years. As that smoke darkened, he made his way closer to get a better look at the burning cathedral. 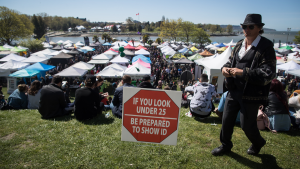 "Looking around as more and more people were clearly realizing what was happening,” said Graham. “It was just very devastating to see the looks on people’s faces and the disbelief about what was happening." Vancouver architect Oberto Oberti has a framed sketch he made of Notre-Dame hanging in his downtown office. He says Holy Rosary shares many gothic characteristics with France’s famous cathedral – but on a much smaller scale. "It's called a cathedral even if it is a small church,” said Oberti. “That is in the gothic style. So that is something we can relate to -- especially the stained glass windows." The cause of the blaze remains under investigation but there was restoration work happening in the area where the fire began.